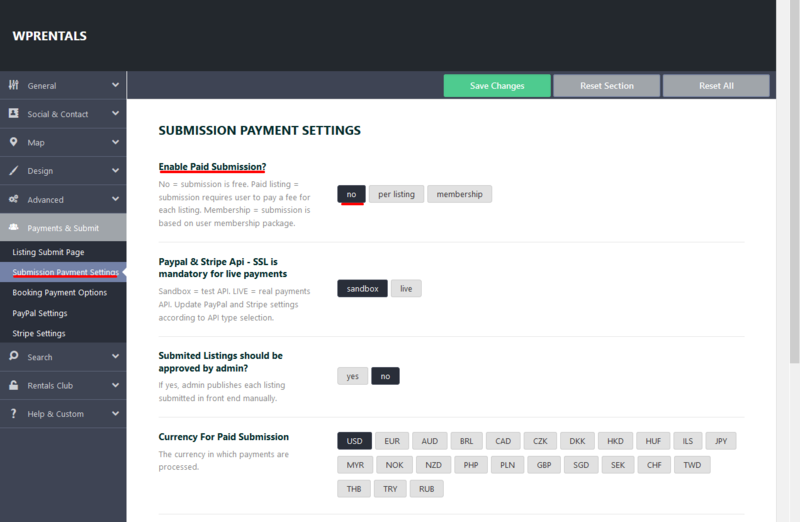 From Submission Payment Settings you control what is related to submission and payment. 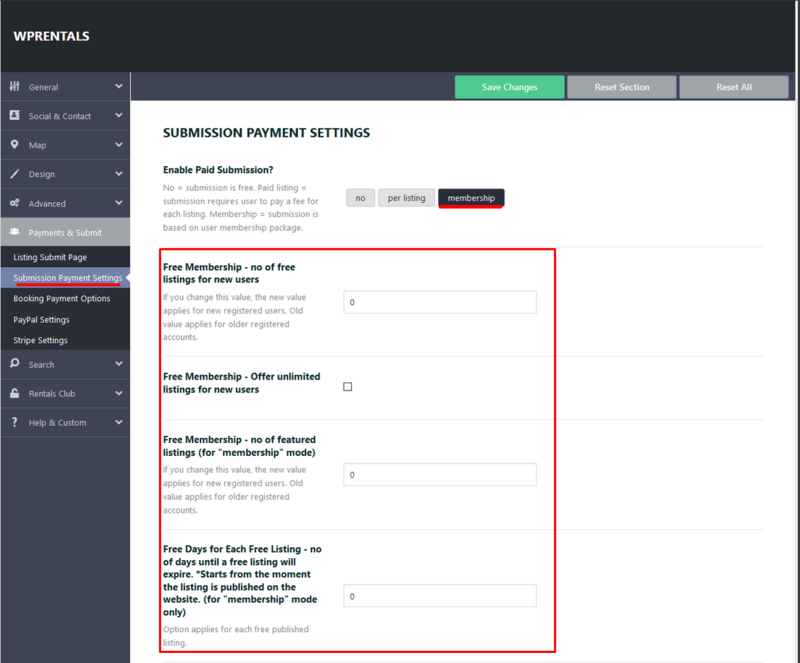 You can set properties to be submitted for free. 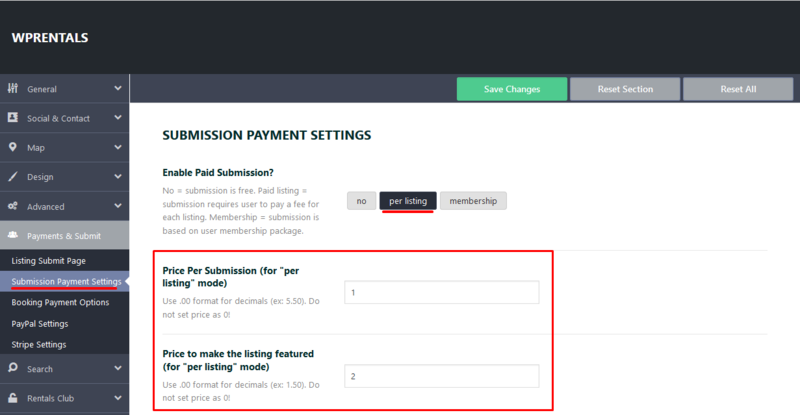 -> Paid listing = submission requires user to pay a fee for each listing. -> Membership = submission is based on user membership package. Submitted Listings should be approved by admin? Also if you wish to use just Wire Transfer and your currency is not on this list, you can add your currency.